A video is automatically recorded according to your recording type and schedule settings. The video is then stored on the Aurora camera storage. You can download the videos from the Aurora camera storage to your mobile device. 2. 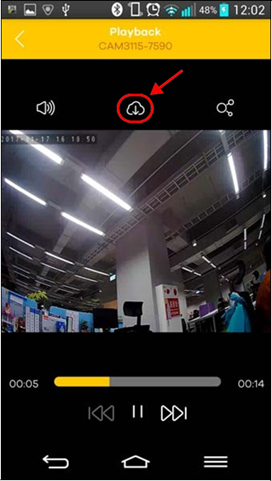 Select your camera from the list and then tap Playback. 3. 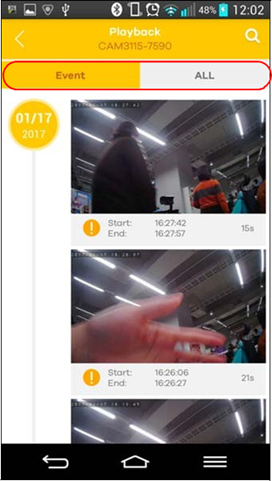 Tap Event to view the videos that were recorded when an event (motion detection) happened. 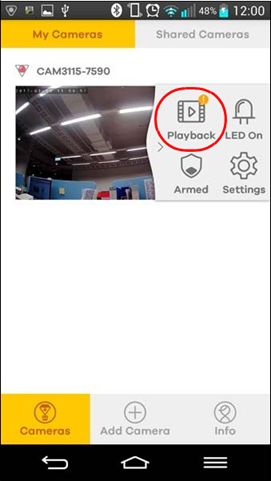 Tap ALL to view all videos stored on the Aurora camera. 4. Tap a video from the playback list to play the video. Tap the download icon to save the video to your mobile device.